Tamada is a Georgian master of ceremony, toastmaster, feast demiurge taking care of his guests as ‘a guest is a gift from God’. This saying is omnipresent during our tours. 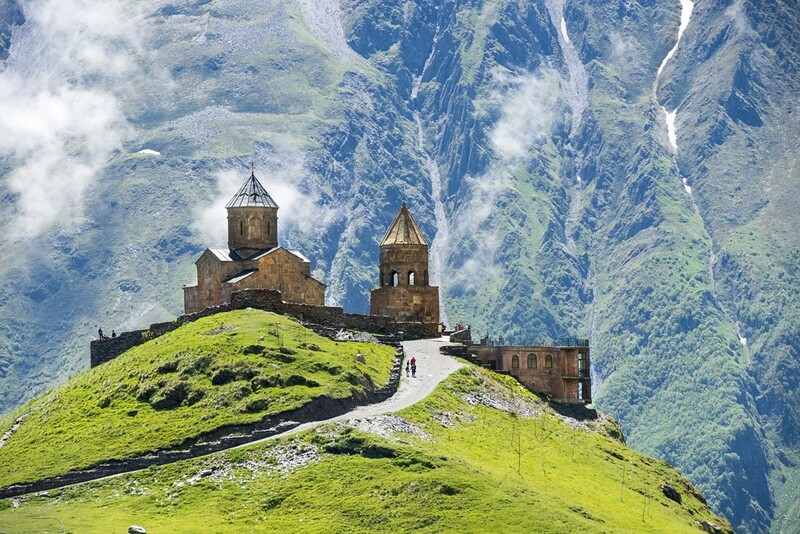 When I went to Georgia, my ancestors’ country, for the very first time I saw for myself how the phrase “come to the Caucasus – leave heart and soul” is actually true. I left my heart and my soul in there...so I came back quickly. Ever since a little kid, I had this huge passion for travelling which reached further than Georgia. My grandpa was the citizen of Uruguay with Samogitian background and my dad is a Georgian citizen. From my grandma I inherited Georgian roots, and from my uncle (who is Georgian) my middle name: Nodar. I’m the citizen of the whole world. I travel always and since always! What I like the most about travelling is the sense of the off the chain freedom of adventure and a feeling that even in the most remote corner of the world I am never alone. I have met kind and hospitable people I can call true friends. Through my metropolitan and wasteland travels I have observed alpine and seaside green landscapes and great monuments of rich and vast history. Hungry for more adventures I derived a great pleasure from local cuisine. I have listened. I have observed. I have kept going. I have visited places where time doesn’t fly but it gives the opportunity to celebrate each and every moment. We want others to feel the same about travelling so in 2011 we gave rise to Tamada Tour. Now I can proudly say that we organize the best tours to Georgia, Armenia, Azerbaijan, Russia and other Central and South-Eastern Asian countries. We take you to places that travel guides often don’t even mention. 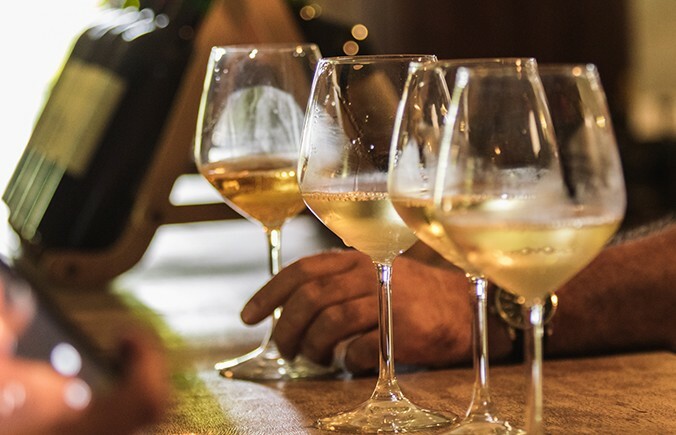 We give you the opportunity to see more, taste more and experience more – to enjoy the adventure that will be remembered for long. See you on travel route! 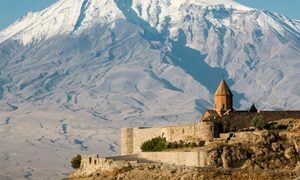 We’ve been organizing stay & explore tours to the Caucasus, Russia and Central and South-Eastern Asian countries since 2011. 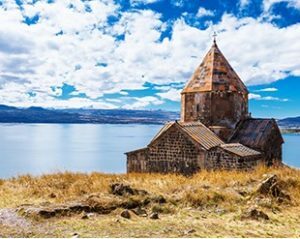 We work with no brokers, so we can offer the best rate tours to Georgia, Armenia, Azerbaijan and other countries inviting to incredible places, their inhabitants and fantastic mysteries. All tours are set and organized by Krzysztof Nodar Ciemnołoński – the owner of Tamada Tour – who has a multiannual tour-operator experience. 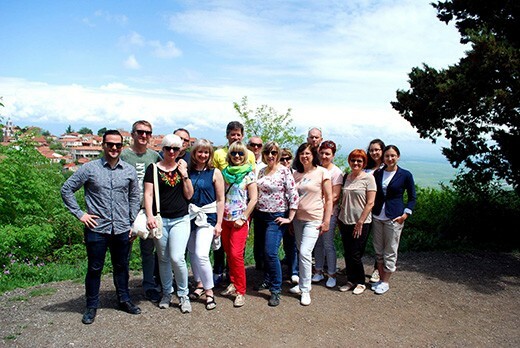 We engage the best tour leaders – local guides and inhabitants of countries we travel to, genuine specialists in given region who can discuss history, geography, culture and customs in interesting way and take us to very unique places often little known for the mass. 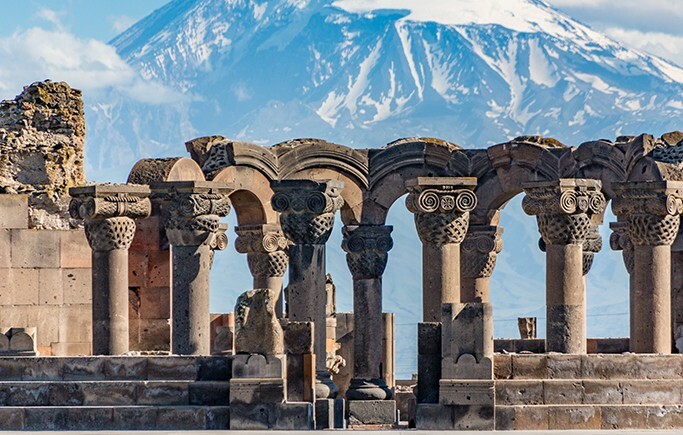 Tours organized by Tamada Tour are perfect for people curious of the world to Georgia, Armenia, Azerbaijan, Uzbekistan, Kazakhstan, Russia, Kyrgyzstan, Iran and other Central and South-Eastern Asian countries. What we can also offer is a tried and true base of hotels, vehicles, professional pilots and our independent tour projects. We organize adventurous tours encouraging for globetrotters who expect a great amount of positive adrenaline and inimitable emotions as well as for those who want to visit unique countries, rest, taste local cuisine and slow down their everyday lives. 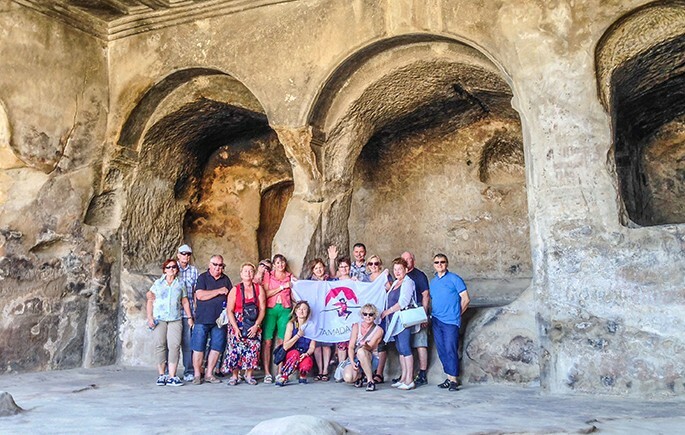 Tamada Tour organizes not only just tours but also popularizes the wealth of knowledge. Krzysztof Nodar Ciemnołonski, the Caucasus connoisseur, has been regularly writing articles about Georgia to the Polish and Georgian press and runs popular blogs: polakogruzin.pl and rebelaway.com. He has also a recognized Tamada Tour Channel on Youtube. His publications presenting i.e. 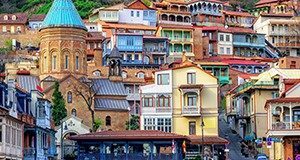 ways to cheap travelling to Georgia or other corners of the Caucasus and other Central and South-Eastern Asian countries are followed by hundreds of people annually. 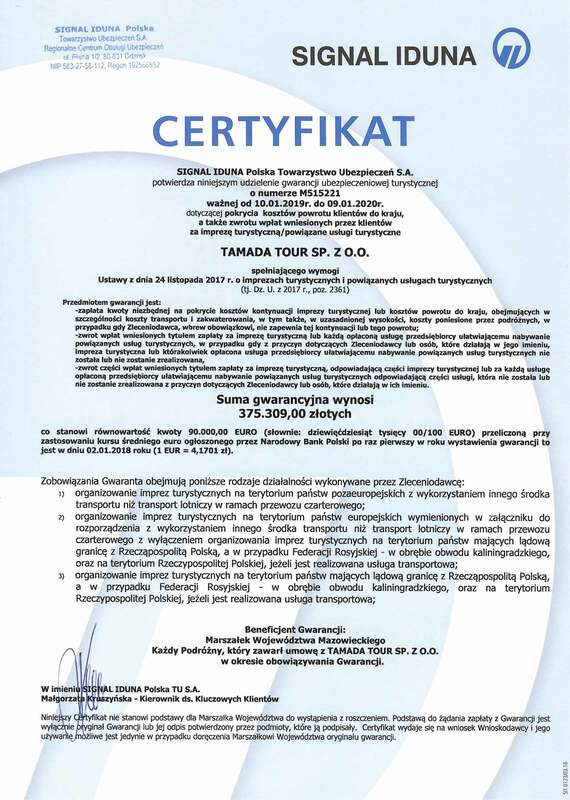 Tamada Tour is a legal international company with its seats registered in Poland and Georgia. 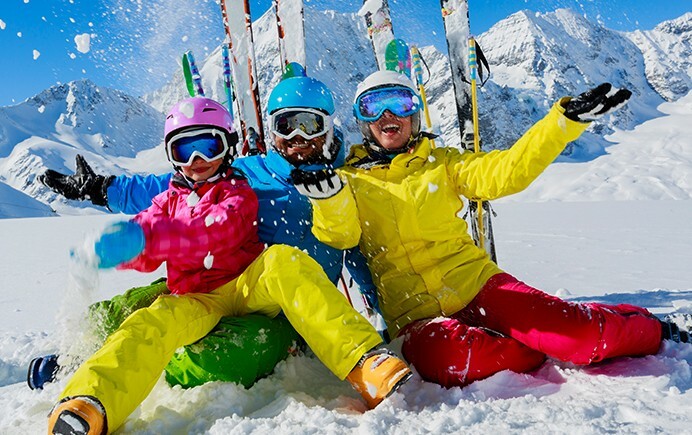 We offer the best service quality and full travel safety simultaneously keeping the best rates of our tours. All restrictive requirements concerning tourism business are met in both countries. 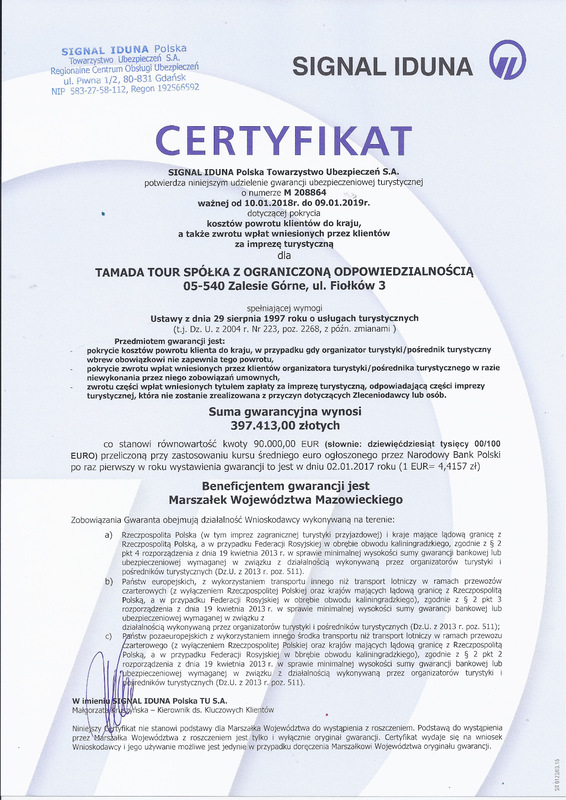 The company registered in Poland - TAMADA TOUR Ltd - can be verified in Polish National Court Register (KRS) under Polish tax ID number (NIP) 1231379649, and in Polish Central Register of Tourism Organizers and Intermediaries under number 11070. The company has been covered by the warranty of the insurance company TU Signal Iduna for the amount of EUR 90,000 whose beneficiary is the Masovia Voivodeship Marshall and also pays contributions to Insurance Guarantee Fund in Poland (2nd travel agency insurance pillar in Poland). The Georgian company – LLC Tamada Tour – can be verified in Georgian Ministry of Justice under registry number 402045942. The participants of our tours have always awarded us with pleasant comments. These comments are as much satisfying as opinions provided by such demanding partners as PLL Lot Solidarność, PLL Lot Cargo, the Accountants Association in Poland – the Board of Directors, Woziwoda Forest Division and Katowice Vocational Training Center..